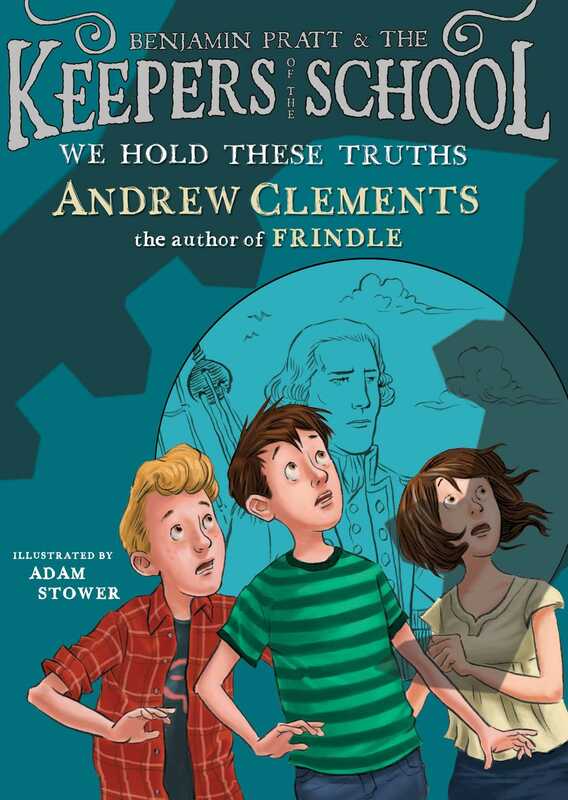 Time is almost out for the Keepers of the School in this fifth Keepers adventure from Andrew Clements, the master of the school story. It was seven fifty-five on Monday morning, and Benjamin Pratt was hiding in a huge clump of rhododendron. The bushes were about ten feet away from the path that went toward the Annex, the low building hooked onto the back of the Captain Duncan Oakes School. He was hiding because he knew that Robert Gerritt was going to come walking along here on his way to school in a few minutes, and when he did, Ben was going to jump up and scare the daylights out of him. It was kind of a stupid idea, but Ben didn’t care. This was just for fun . 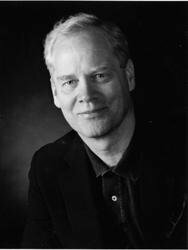 . . and also because Gerritt was usually way too serious. A jolt of good old-fashioned panic might loosen the guy up a little. It hardly seemed like a good moment to be goofing around . . . but that was sort of the point. Yes, the Glennley Group was still planning to demolish the Captain Oakes School this week; and yes, he and Jill and Robert only had two and half days left to stop all that; and yes, once they went inside, the rest of today was going to be risky and stressful and intense. But right now? Time to mess around. Then something caught Ben’s eye, there at the back door of the Annex, the door to the playground. Is that . . . ? Yes! It was Wally, lurking in the hallway. Wally and his boss, Mr. Lyman, worked for the Glennley Group, but they had also been posing as the school janitors, so they were in the building every day. They didn’t know exactly what Ben and Jill and Robert were up to—and they certainly didn’t know that the three kids were part of a secret group called the Keepers of the School. And Lyman and Wally also didn’t know that the Keepers had a list of clues and that they had already located a bunch of things that the founder of the school had hidden back in the 1700s—things that Captain Oakes had hoped could be used as safeguards to protect his legacy. But the two fake janitors did know that the kids were looking for something inside the school and that they were dead set against the new theme park that the Glennley company was planning to build here once the school was torn down. So, the two men simply tried to watch them—all day, every day. Ben had to squint a little to see Wally because of the reflection on the glass of the door, but the guy was definitely there. Well . . . so what? Was that any reason to pass up a perfect chance to prank Gerritt? No way! Ben was sweating like crazy. This was supposed to turn into a really hot day, and it was already about eighty degrees and very humid. But he tried to ignore the discomfort . . . and also the huge bumblebees that buzzed among the pink and white blossoms. It was seven fifty-eight now, and he watched as two buses came rumbling into the driveway. Then glancing back to his left, he spotted Robert. He was coming toward the back of the school along the path from School Street, head down, lost in thought, walking like he was in a huge hurry—same as always. Ben crouched lower, ready to leap up and scream like a madman. But before he could move, the door at the back corner of the Annex opened and Wally rushed out. The stocky little man walked quickly across the playground and stopped right in front of Robert, who looked up at him, totally surprised. Robert steamed ahead past the Annex and went toward the old building, joining the crowd of kids who had gotten off the buses. Wally watched Gerritt a moment, and then, after a shifty look around the school yard, he hurried back to the door he’d come from. Ben sat still for about half a minute, completely stunned. Then he backed away through the bushes, picked his way out to Washington Street, and ended up standing beside the seawall in front of the school. The water of Barclay Bay lay flat and calm; hardly a ripple. There was a stream of dark smoke from the funnel of a distant ship, well out to sea. But Ben barely saw it, barely heard the gulls that wheeled above him, their cries sharp in the still morning air. He felt like he’d just seen something important. Why had Wally wanted to have a secret conversation with Robert? And what could have made Robert react like that? Well, I could text Gerritt right now, tell him I saw the whole thing, and ask him what’s up . . . But it might be better to deal with it later, when they could talk face-to-face. Because he’d meet up with Robert during second period language arts, for sure. And if that wasn’t the right time, they could talk at lunch. ’Cause I don’t want Gerritt to think I was spying on him or something . . . Besides, maybe Robert would text him during homeroom and tell him all about it.